Mizoram is the only state in the Northeast with a Congress government. 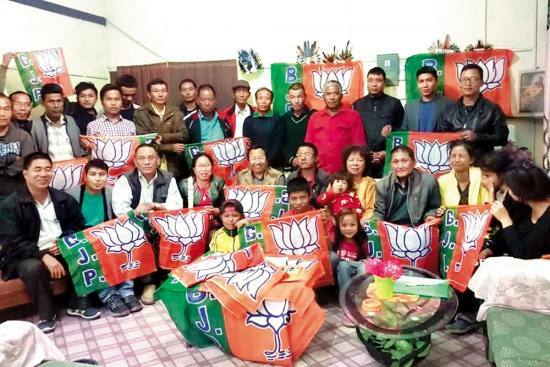 In 2013, the BJP won 0.4 per cent of the vote share in the Mizoram assembly elections. Five years later, it’s hoping to be part of the government in the Northeast state. But then, the BJP has made “audacity” its middle name ever since its spectacular victory at the Centre in 2014. It has also mastered the art of snatching power from right under the nose of its opponents. For the record, Mizoram is the only state in the region with a Congress government. 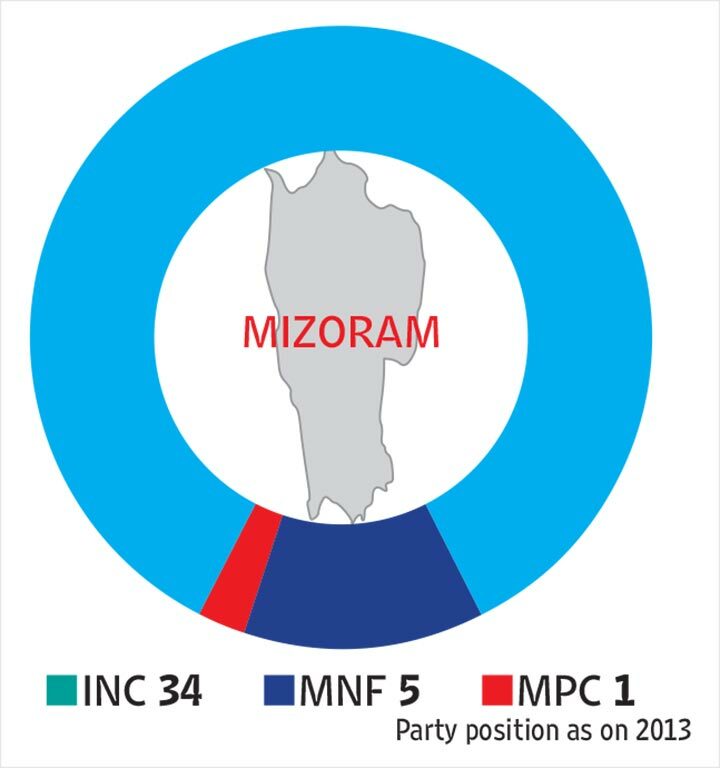 And the regional Mizo National Front (MNF) appears to be the best bet for the BJP’s quest in Mizoram which goes to the polls on November 28. The MNF is part of the BJP-led forum of non-Congress parties, the North East Democratic Alliance (NEDA). The party’s state president JV Hluna admitted that it might not be possible to beat the Congress alone but with the help of regional parties, Mizoram can get the desired change. “We are upbeat and sure of bringing a change in the state,” Hluna tells Outlook. Party president Amit Shah visited the state on October 17 and addressed an estimated 10,000 workers. Even though the BJP was open for a pre-poll alliance with MNF, it didn’t work out. Some senior leaders leaving the Congress recently and anti-incu­mbency will also add to BJP’s gain, feels Hluna. The BJP is contesting all 40 seats. The MNF appears to be playing hard ball but has not yet shut the door on the BJP. “No doubt, we are partners at NEDA which targets to see a Congress-free Northeast but that doesn’t necessarily stop us from contesting alone. Our base here is pretty strong and we can pull it off alone. Our candidates are quite popular among the people,” an MNF leader says. The MNF had twice led the state but managed only five seats in 2013. The ruling Congress, however, sees no threat from either the BJP or MNF. “The last economic survey indicates that the Congress has done exceptionally well…whatever promises were made during the last election manifesto, we have fulfilled all of them,” says Luizinho Faleiro, Congress general secretary in charge of Mizoram. “Our economic indicators, social indicators and human indic­ators have not only the best in the Northeast but one of the best in the country.” Chief minister Lal Thanhawla and the state Congress president also says that despite two senior leaders switching over to MNF, the people of Mizoram were still behind his party. Next Story : Can Gaddar Emerge As A Key Challenger To KCR And TRS In Telangana?